About Face Designs has become a benchmark for heartwarming giftware combining originality, creativity, high quality and exceptional value. 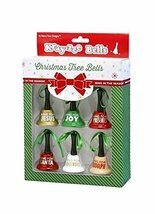 Six assorted bell ornaments in an attractive package. Each bell 2 1/2 " by 1 1/2 ". 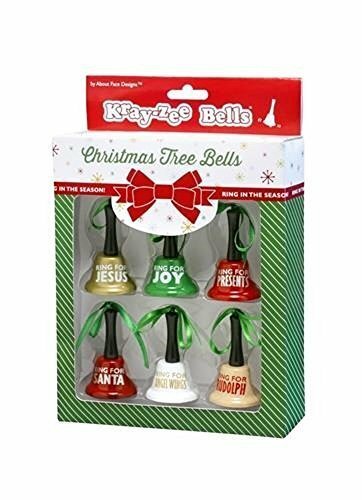 Ring for Joy, Jesus, Presents, Santa, Angel Wings, Rudolph. Hang on the tree!